"The kitchen was really a closed-off spot for a long time," says John Petrie, president-elect of theNational Kitchen & Bath Association. "Now people want the kitchen to be an active part of the family home." Although open-concept kitchens are by far the more popular choice today, some homeowners are embracing elements of the past — namely a separate, more closed-off layout. Could we be shifting back to the kitchens of yesteryear? We asked three kitchen experts for their thoughts on the two kitchen styles, and how you can decide which one is right for you. Twenty years ago the term "cocooning" arose in the home design world. Home life shifted as people spent more time at home. "Home was a safe place, a refuge and where you wanted to be," says Petrie. The desire for a cocoon fueled the open-concept kitchen, allowing homeowners to spend more time with family and friends while cooking and cleaning. "It also showcased a shift to a more casual lifestyle," says Andrea Dixon of Fiddlehead Design Group. "People weren't afraid to expose reality — i.e., a messy kitchen." "When the walls came down, the kitchen became an integral part of the home," says Petrie. Kitchens soon became the center of the house — the room that everything else revolved around. Today this layout has become the go-to kitchen style, particularly for families. The combined layout allows for optimum multitasking — parents can prepare dinner, watch the news and help with homework at the same time. "I'm a huge open-concept-kitchen fan," says Anthony Carrino of Brunelleschi Construction. 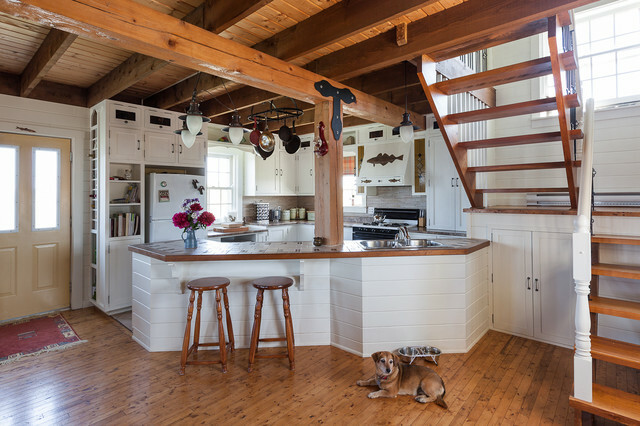 "I find that the benefits far outweigh those of throwing the kitchen into another room. Ninety-nine percent of our clients ask for an open-concept kitchen." The kitchen is already the most expensive room in the house to remodel, and turning a closed kitchen into an open plan can add to the cost. Tearing down walls means dealing with plumbing, electrical and structural work on a huge scale. Sometimes the added expense means compromising in other areas. 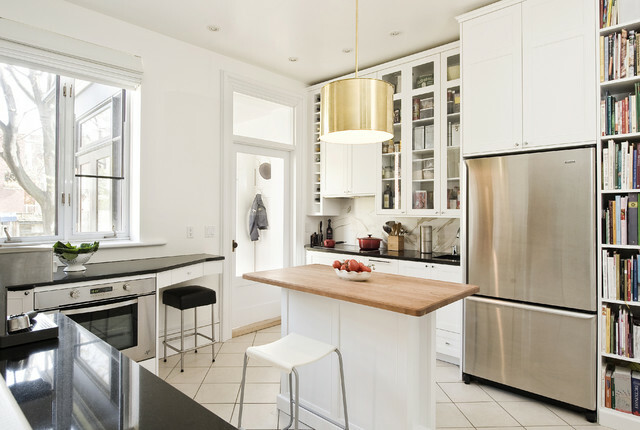 For homeowners who'd rather invest in other parts of their kitchen — appliances, materials or cabinetry — reworking the layout may not be worth it. "You have to think about what's best for you," says Petrie. When it comes to allocating your kitchen budget, which is more important, he asks, "an efficient, functional kitchen with better appliances? Or an open layout that connects to the rest of your home?" 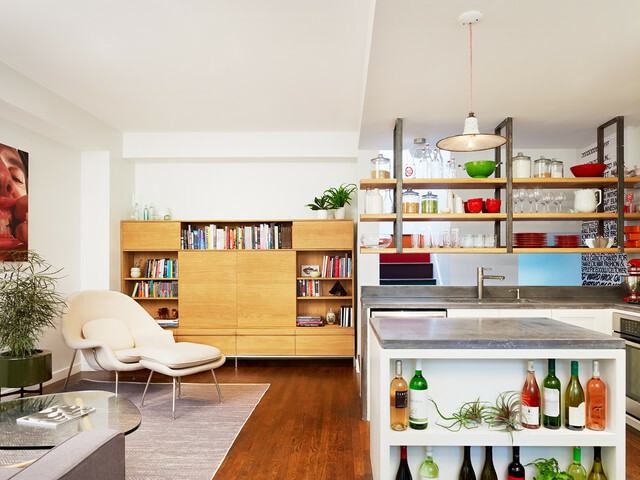 While most of Dixon's clients ask for open-concept kitchens, some prefer a closed-off space. "There will always be some people who are uncomfortable with letting guests see their 'unmentionables,'" she says. "It's definitely a more formal layout, but it ultimately comes down to personal preference." If you want to leave your smells and mess behind when serving meals, a closed layout could be for you. 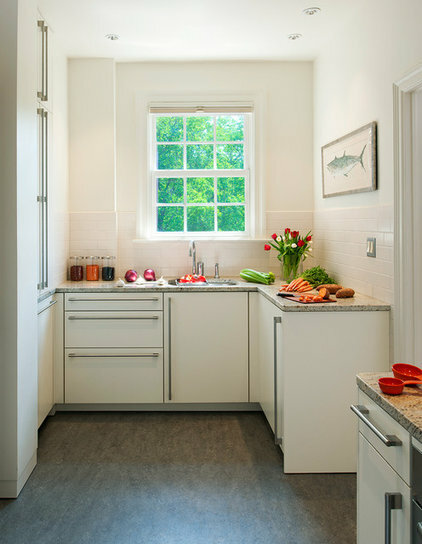 "You can get creative with a closed kitchen, too," says Carrino. If space allows, a small booth, fold-down table or rolling bar can make a closed kitchen more of a social space. Of course, a closed-off kitchen's isolation also can be its main downfall. This layout doesn't allow for direct access from the kitchen to the dining table, or vice versa. And it's difficult to interact with friends and family while whipping up meals, since most of the room is reserved for the work triangle. There's no set formula that can tell you which kitchen layout will work better in your home. Part of having a conversation with a designer is trying to figure out what's best for you. Start with a list of needs and wants, and go from there. "You've got to consider the way you live in your home and the way you use your home," says Carrino. "How do you use your kitchen? How do you foresee using your new kitchen?" Everyone's needs are different, so don't let yourself sway with trends. "A family with kids that need supervision might decide to do an open-concept plan with a large multifunctional island," says Dixon. "But a couple who loves to entertain might opt for a closed-concept space so they can prep courses ahead of time and not spoil the surprise. It totally depends on your lifestyle." 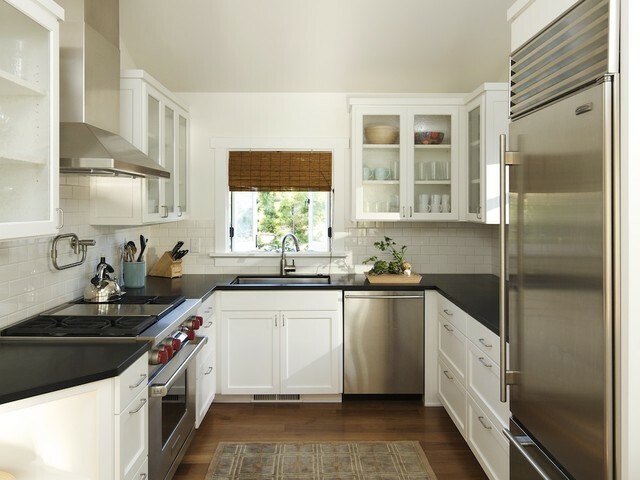 Tell us: Do you have a closed or open kitchen? Is there anything you'd change about your kitchen layout?